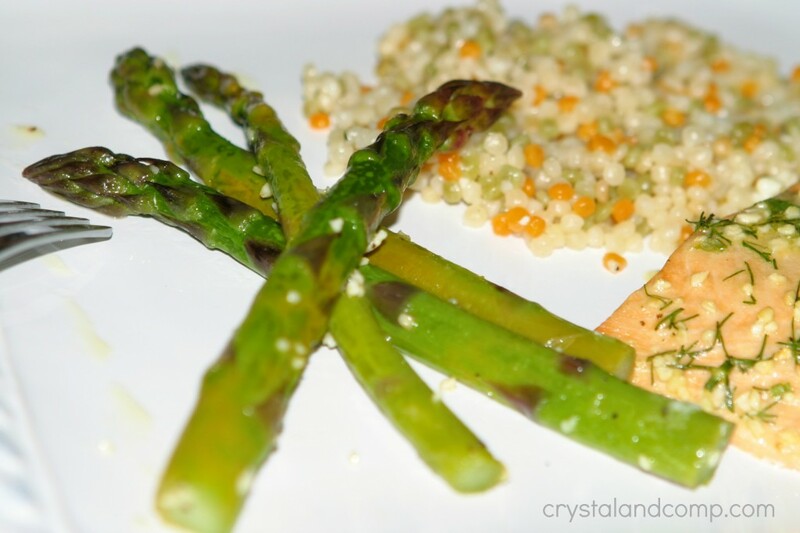 Are you a busy mom looking for real easy recipes and simple side dishes? 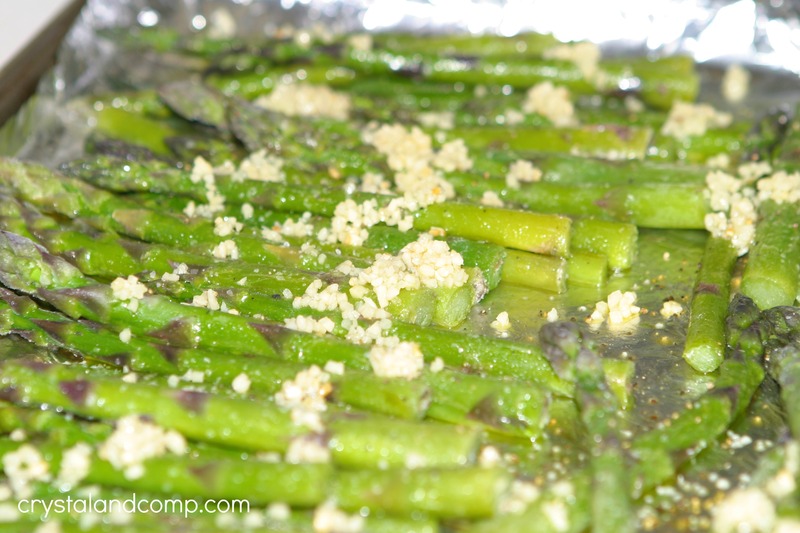 We love baked asparagus at our house and I am going to show you how to whip up this easy side dish in just minutes. Baking it does not take long, so this is perfect for any season. I never like to use my oven for more than 30 minutes in the summertime because it heats up the house, so this is perfect. 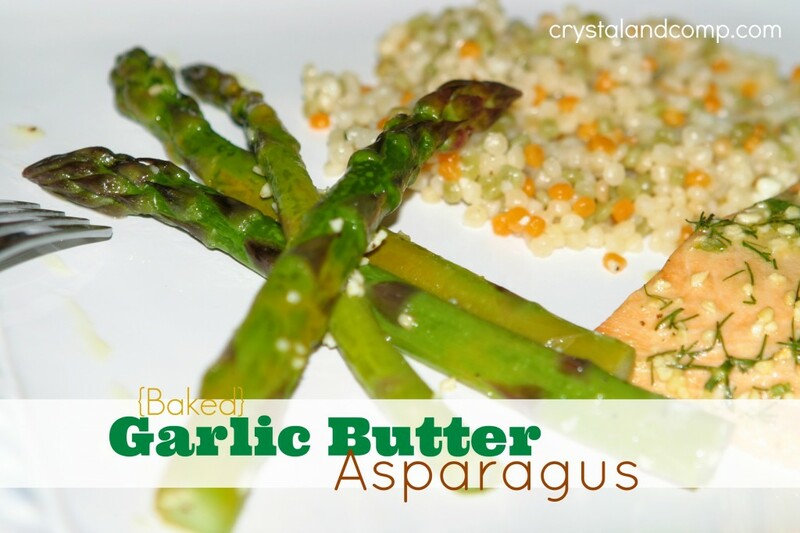 I also love garlic and lemon over my baked asparagus. Have you ever tried it? You’ll love it! And guess what? 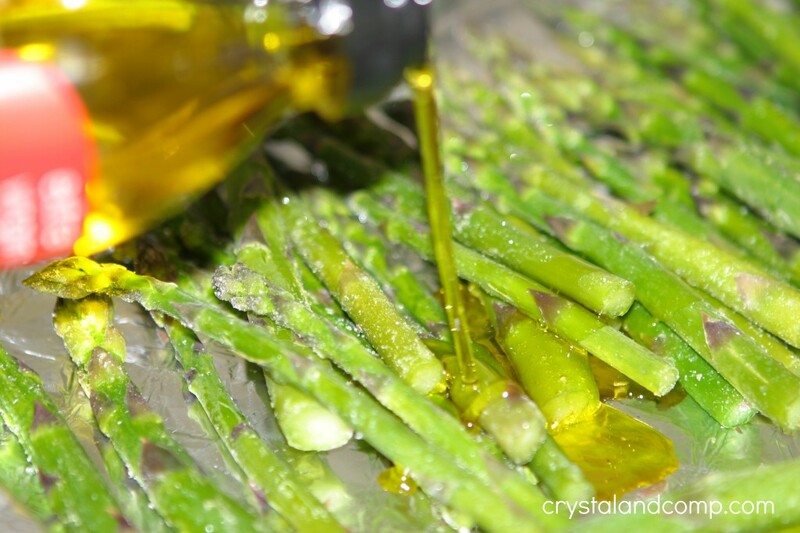 I do this with frozen asparagus spears! Seriously! 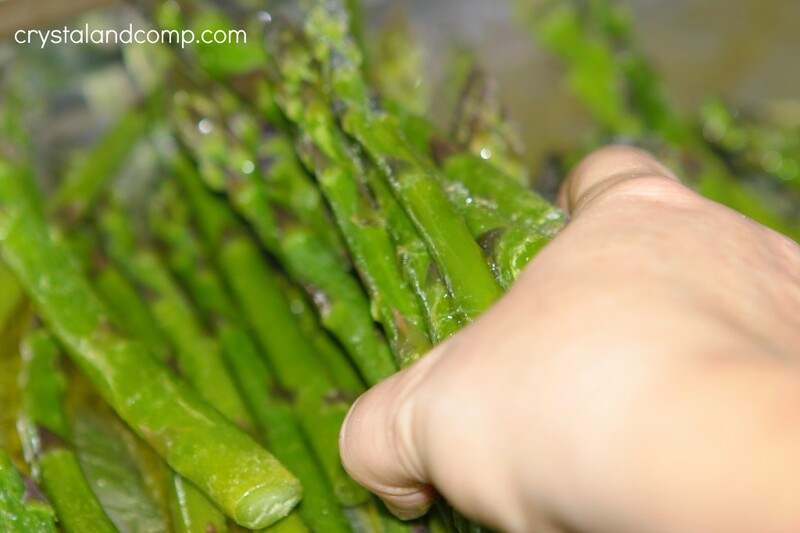 Use your hands to roll the spears around on the cookie sheet to evenly coat them in the oil. Once the spears are well coated, distribute them evenly on the pan again. Evenly, squeeze the juice of one lemon over all of the spears. Sprinkle with the minced garlic, evenly. Add more if you want. We love, love, love garlic and lemon. 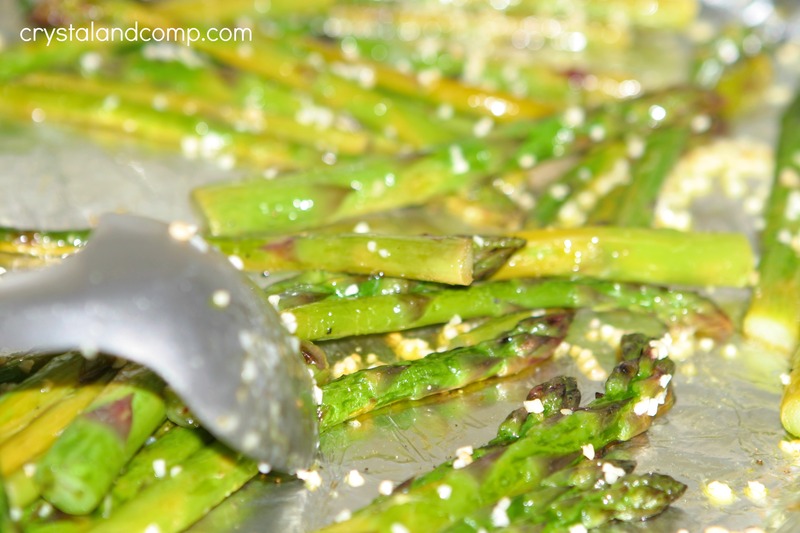 Toss them around the cookie sheet a bit with a large spoon to evenly coat them with the garlic. Pop them in the oven on 350 degrees for 20-25 minutes. When they are done they will likely have a bit of a purple tent here and there. They will be crisp and perfect. I love to serve them with couscous (pearled in this case) and along side salmon or fish.